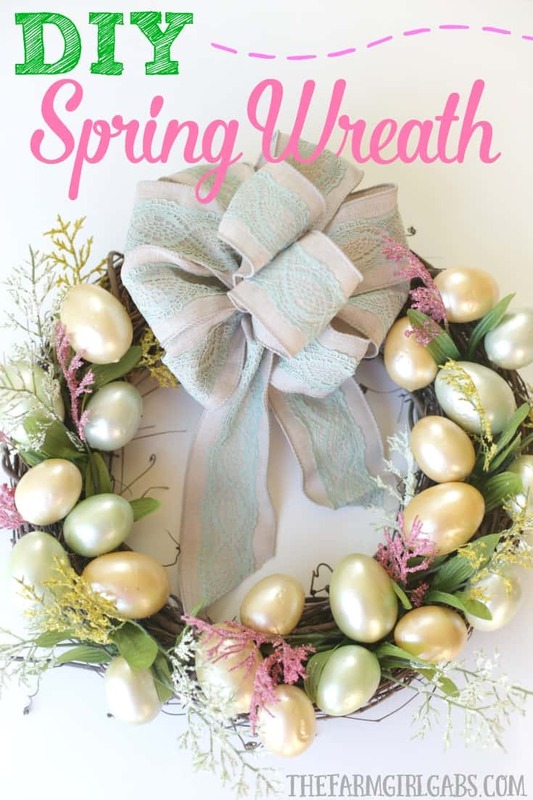 Brighten up your front door with this easy and welcoming DIY Spring Easter Egg Wreath. It’s the perfect way to welcome spring. Believe it or not, spring will be here in one week. Luckily for us, this winter has been pretty mild. Phew! My idea of a nice winter’s day is to hunker down by a roaring fire. Anyway, it’s just a matter of time before the weather starts to warm and we can all enjoy a good dose of Vitamin D this spring. 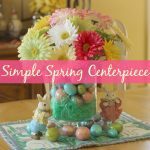 Easter is pretty late this year so I have plenty of time to up my game for my Easter and spring decor. There is something about Easter and spring decorations that make me smile. The pastel colors, the cute bunnies , and the general idea that spring has sprung just makes me so happy. 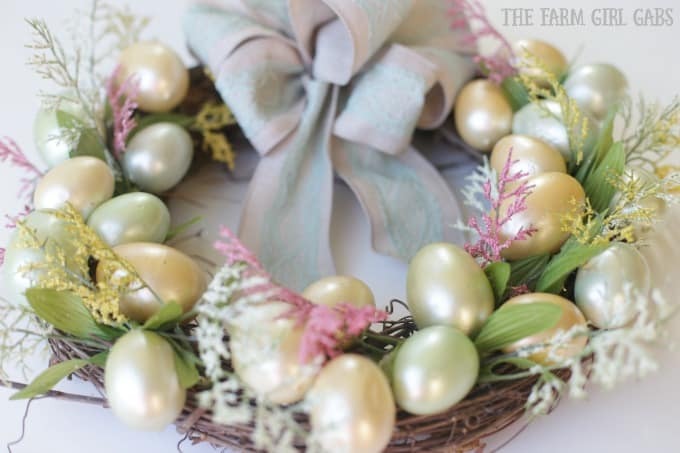 So I raided my craft supply stash and made with easy Spring Easter Egg Wreath. 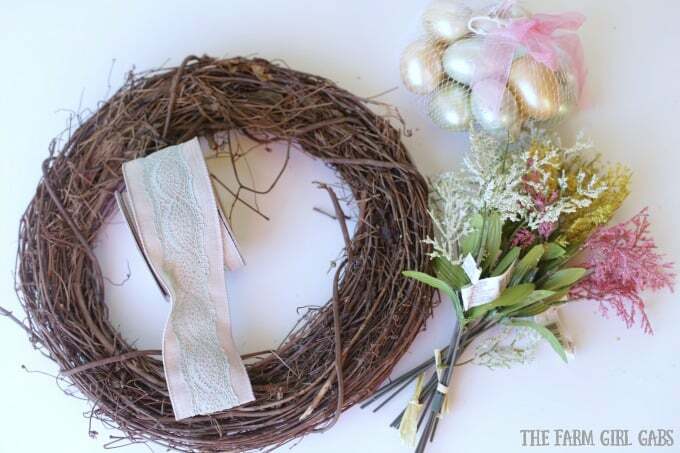 Lay your grapevine wreath on a flat work surface. 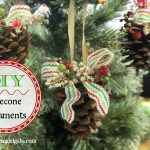 Make a nice bow and attach to the top of the wreath. 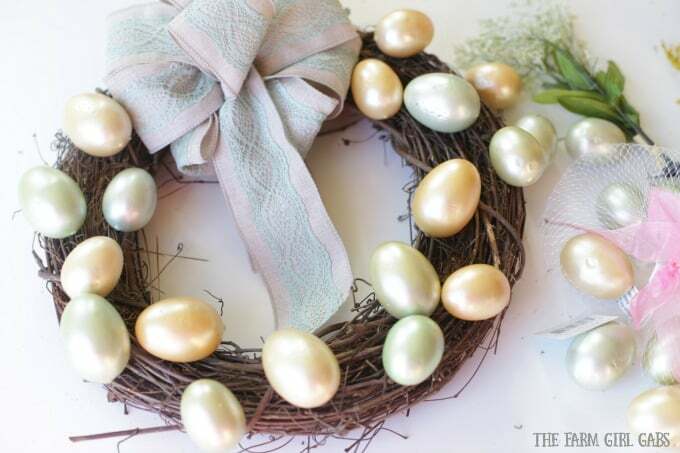 With a hot glue gun, sporadically glue the Easter Eggs around the wreath. Then, tuck the wispy flowers in between the eggs. Keep filling in the spaces until the wreath looks nice and full. 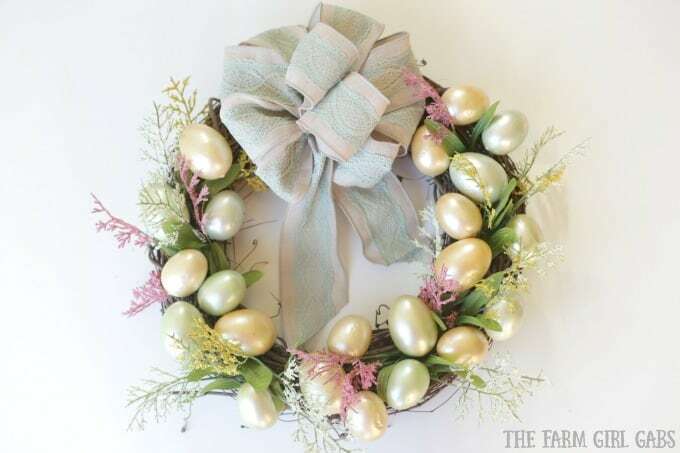 Hanging this Spring Easter Egg Wreath on your door is the perfect way to welcome visitors. It’s bright, cheery and perfect to display during the early spring months.